November is closing in fast and we all know what that means…… it’s new toy time. Not only do we all flock to NXL World Cup across from Gaylord Palms Resort in Kissimmee, Florida November 3-6 2016 for some good old fun in the sun while watching our favorite teams fight it out for the gold, but we get to visit some our favorite vendors to see some familiar faces while checking out some new toys. NXL World Cup is always the best place to get rid of a few old toys and possibly find a few new ones in the process. Some of my most prized possessions have been acquired while there in the previous years. So what am I looking forward to this year at NXL World Cup you may ask. I’ll list them out below, in no particular order. Valken – I’m most looking forward to trying to catch up with Gino or Andy. I’ve missed meeting them over the past years but plan on making it my mission to catch up with them and see what Valken deals are to be had. Ninja – No matter what I always stop in to see Ray and the guys. They always have a few great stories to share and I love checking out what they bring down as far as custom tanks. Dye – You always have to stop by Dye to check out what Rocky is up to and also drop off a gun or two for them to go through and tech for me. So remember to drop on by and see Rocky……. he’ll give you a few good laughs. Virtue – Virtue in the past years have always come with a pretty good selection of custom masks, loaders and more. If you don’t see it always ask as they may have it in the back or will build one for you. Social Paintball – It’s always great to drop in on Israel and see what new items he has up his sleeve or in the works. I may have to check out some of those custom jerseys he’s always showing off as well. AirUps – While I don’t have much need for bunkers I still plan on dropping in to see what all Brent and the crew from AirUps brought out of the wood works to display. For those not familiar with their work you need to go check them out. Exalt — Exalt is always a great one to check out as I can always find a few things there that I’d love to add to the gear bag. Planet Eclipse – I’m slowly becoming a fan of the Planet Eclipse guns (especially the 3.5 and cs1 models). I’ve never owned one but who knows one day I might. Bunker King – Another company I don’t know much about but I’m wanting to learn more about their products. MacDev – While I’m no fan of the MacDev guns, I’ll tell you I do like some of the accessories they put out. I’m still wanting to get my hands on one of their barrel kits so maybe this will be the year for that… who knows. TBD Crew – it’s no secret I’m a Damage fan so I’ll be out there rooting for my team and hope they do well. Friends – I saved the best for last. NXL World Cup is always a great place to catch up with old friends and meet some new ones. I’ve made several friends over the years thru paintball and the blog, but always find it a blast to catch up with them. Hopefully I can get some of the Wrecking Crewe guys together to go up and catch up with Team BBK as well. Although now that I think of it, that could be a dangerous combination for NXL World Cup. The time is near for PSP World Cup at Fantasy of Flight in Polk City, Florida. This time next week I’ll be swarming the vendors to see what free giveaways they have as well as getting to put my hands all over the latest merchandise in the world of paintball. I’ll also get to sit back and watch some of what I predict to be the best matches of the year. While I’m most excited to watch the Pro games I also have a few friends playing in some of the other divisions and I’ll get to watch as well. I’m most excited about seeing what new products all the paintball vendors are bringing to the table. From what I’ve seen so far I wish I had won the lottery because I’ve seen quite a few new products I’d like to add to my gear bag. While I’m not quite sure where my first stop will be, I plan on at least hitting Dye, Empire, Ninja Paintball, Virtue, Valken as well as GI Sports to check out a few things on my “Christmas Wish list”. What… I’ve been good this year (for the most part). I’ll also be dropping by Social Paintball to check out some new products as well. If all goes well I may even end up walking away with a new pair of “Grit” paintball pants. From what I’ve seen online I like them so far but I’m much more of a visual person so we shall see. Their booth is all packed with a lot of merchandise and I’ve never gotten out of there without finding something that I’ve been wanting. Next on my list is a trip to see the guys from Trade My Gun. I met the guys a few years back and I’ve got to tell you they are definitely on my must see agenda. Every year I’ve gone to PSP World Cup I’ve always managed to work out a deal on some gun that I’ve always wanted as well as sell off a few that I rarely use. They guys are always funny and if you catch them at the right time make some really killer deals that you’d never believe. One of my usual stops is at the Valken tent. I’m usually there to see Kelly and the gang plus check out any new gear as I look for that awesome deal I just can’t pass up. Ninja Paintball is also a must stop so I can check out the 2013 Breast Cancer Awareness tank which I may have to actually purchase this year. I’ve looked them in the years past and always seem to want one. While I’ll obviously be rooting for Tampa Bay Damage to win I’d like to take this opportunity to wish all the teams that have traveled from both near and far safe travels and the best of luck. 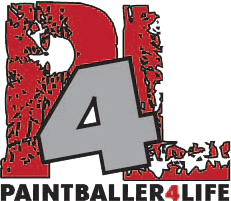 Just the fact that you’re there to be a part of one of the biggest events in paintball should be a victory in itself. The win wouldn’t hurt that much either, but making new friends from all over the world. For those who can’t make it you can always follow my Twitter, Facebook, or even Instagram which I’ll include links to below. I’ll try to send out updates and new product pictures all day long, plus any other interesting things that I see happen at PSP World Cup. As PSP World Cup 2012 grows closer I have many questions. One of which is where do I begin? With so much to see and only a few days to do it I feel as if I should devise a plan. On the list of must-sees this year the new Dye DAM (Dye Assault Matrix). I have to say I’m pretty impressed from what I’ve read so far. If I get my hands on one of these bad boys to look at I’ll be sure to post pictures. Empire, Valken, Virtue Paintball, and Ninja Paintball are all booths I plan to hit up as well. At Ninja Paintball I’m looking for my limited Edition Pink tank (to support breast cancer). I definitely need to keep my eyes on the schedule because at random times they’ll have team signings. I also need to remember I’m there to watch Tampa Bay Damage do their thing (and hopefully win it all). Have you been to a PSP World Cup or similar event? What products do you look forward to seeing?